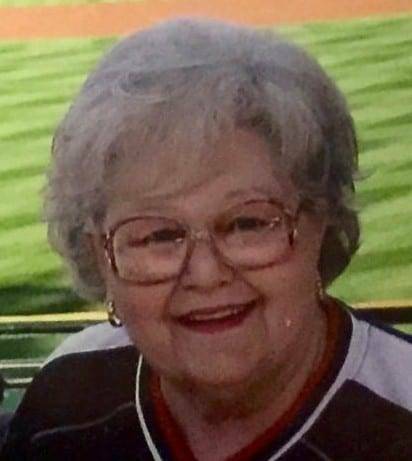 Judyth (Judy) A. Lohse, mother, grandmother, great-grandmother and lifelong instigator of fun, died Wednesday, April 3, 2019. A long-time resident of Ridgeville Township in Henry County, she lived the past nine years at Fairlawn Haven in Archbold. Born March 7, 1939, Judy was a native of Battle Creek, Mich., and was born with a yearn to entertain. Joining friends to form singing and dancing groups during her secondary school years at Battle Creek Central High School, her love of music continued for many years as a member of ensembles and choruses. She was an enthusiastic participant in the choir at St. John Evangelical Lutheran Church in Ridgeville Township. She had a keen ear for harmony and loved playing the piano and singing with family and friends. She attended Ferris State University and succeeded at a number of jobs over the years in the retail and logistics industries, retiring in 2004 as a receptionist at the Corrections Center of Northwest Ohio. She was known by co-workers, friends and family for her energy and her spirited — and sometimes mischievous — sense of humor. Judy loved to travel and found her entrepreneurial spirit later in life, launching a business, Craftsman and the Peddler, with her husband, Eldor Lohse. They traveled across the region to arts and crafts shows and the business combined Judy’s love of engaging strangers with Eldor’s woodworking talents. She was preceded in death by her parents, Charles and Lilah (Hall) Briggs; a brother, Charles Briggs, and a son, Kevin. In addition to Eldor, her loving husband of 46 years, she is survived by a sister, Pat (Lou) Miller of Battle Creek, Mich.; a daughter Cindy (Tom) Horton of Stryker; sons Jeffrey (Beth) Cranson of Grand Rapids, Mich. and Jeremy Lohse of Stryker; grandchildren Shelby (Kevin Coburn) Cranson of Bryan and Kylie Cranson of Bryan; Maggie and Christopher Cranson of Grand Rapids, Mich., and Brienne (Harmon) Hetrick of Hicksville; and five great-grandchildren. 1 Comment on "Judyth “Judy” Lohse (1939-2019)"